The title tag is one of the most important on-page SEO elements. We look at the best practices to boost your SEO in 2019. Last updated: Jan 26, 2019. 21:10 UTC. There are many ways to write a Title Tag, and ultimately it will be down to your decision based on what you think offers the best User Experience. A title tag is an HTML element that specifies the title of a web page. Title tags are displayed on search engine results pages (SERPs) as the clickable headline for a given result and are important for usability, SEO, and social sharing. For a technical summary of the HTML <title> tag click here. There is no exact character or pixel limit to the width of title tags. However, if you keep your titles to under 60 characters, they should display around 90 percent of the time. We set out in detail the best practices to follow when crafting Title tags later in the article. How are Title Tags used? Title tags are a major factor in helping search engines understand what your page is about, and they are the first impression many people have of your page. Your title tag will be displayed in the Search Engine Results Pages (SERPs) as the main title link leading to your web page. As such, it is often your visitor’s first experience of your website. As such, you will want to make sure to create a great title to entice visitors to your website. Detailed discussion and further sources on how Title Tags affects rankings. Your title tag will be displayed at the top of your web browser. It allows users to easily identify the pages content when browsing using multiple tabs. As space is limited, you should ensure that the most important keywords \ keyword phrase are at the beginning. While Facebook and Twitter use their own meta tags, such as Open Graph, many third-party websites will utilize information from the title when posting to social media. Wider letters take up more space - Letters such as “i” take up less space than “w”. ALL CAPS take up more space - Words such as “AND” take up more space than “and”. Width varies depending on the search query - Because Google now boldens the search query, and bold letters take up more space, a longer search query would also take up more space. Truncation - When a Title is “cut off” it is appended with “ …”. This means truncated titles show even fewer characters of the Title. Editor’s Note: The research by Moz has been superseded by changes made by Google in May 2016, which lengthened the Title Tag width. However, the basic concepts remain. Continue reading the article for more details. In 2014, when Dr. Meyers carried out the analysis, the best practice was keep it under 512 pixels in width, which is around 55 to 60 characters. However, Google made some changes to Title Lengths in May 2016, which we will talk about next. On May 11, 2016 Jonathan Jones reported that Google increased the width of their organic search results. This had an immediate impact on a variety of things, including the width of title tags. This changed the width of the titles in the SERPs from 500 pixels to 600 pixels. This equates to around 70 characters before Google will truncate the titles with ellipses. At around the same as the May 11, 2016, changes, it that the Mobile Titles tag had increased to about 78 characters. It remains to be seen how users will differentiate between mobile and desktop search title tags. Certainly, the safe option is to go for the shorter length, but for websites with the majority of their traffic on mobile, it does give the longer title as a credible option. Is a good description of the content, and ideally the website that the page is on. And that it is relevant to the query. If you don’t adhere to this, then Google may use an alternate title. This may be from content on your page, from anchor text pointing to your page, or the Open Directory Project. As this information is approaching two years old, it is unclear as to whether this is still the case. In a video dating back to September 2009, Matt Cutts confirmed that both Hyphens and Pipes are viewed as separators. Ultimately, it is open to personal taste, but we do think that hyphens tend to be a little more popular. A small benefit of using hyphens is that they may be more likely to be used by users searching with “exact-match” queries. Besides looking unnatural and providing a bad user experience, keyword stuffing can cause an algorithmic penalty that can hinder your rankings. Furthermore, Google has made significant strides over the past year or so in understanding the user query and associating words with similar meaning to the query. You can read more about the new RankBrain Artificial Intelligence here. Google endeavors to provide its users with unique and valuable content. As such, you should try to give each page a unique title. Modern CMS, especially WordPress Yoast Plugin, allow titles to be create automatically using various template variables. This should allow you to automate the generation of titles at scale. When automating titles, pay particular attention to the next point about putting the important keywords first. Google gives greater weight to keywords that are placed at the start of the title tag. The space available in the title bar \ tabs at the top of the browser window is limited. The most important words are less likely to be cut off if you exceed the 600-pixel width limit. A usability study carried out in 2009 indicated that the users might scan as little as just two words of a headline. If you just wrote a bunch of keywords, you may end up with an uninspiring title. The result you are trying to achieve is to drive high-quality traffic to your website. While keyword optimization and SEO is important, it wouldn’t mean much if they didn’t click through to your website. 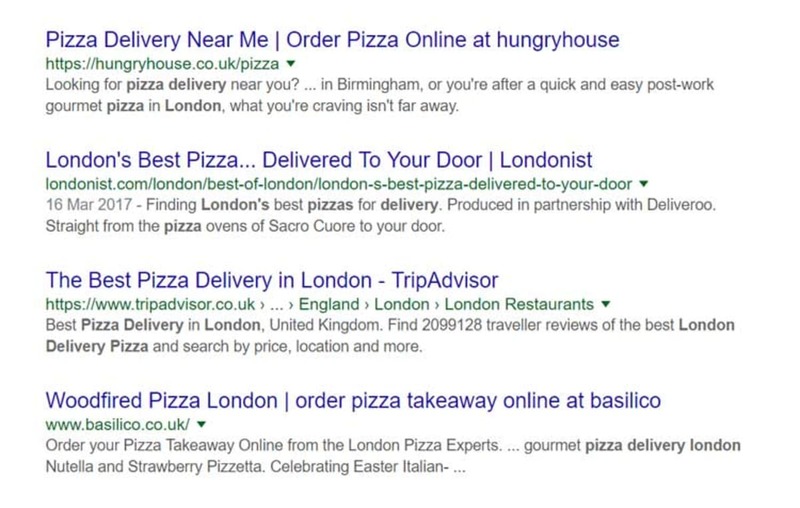 As you can see in these examples, the keyword is at the start of the title tag, but we also try to provide something to entice the user to click through to the website. 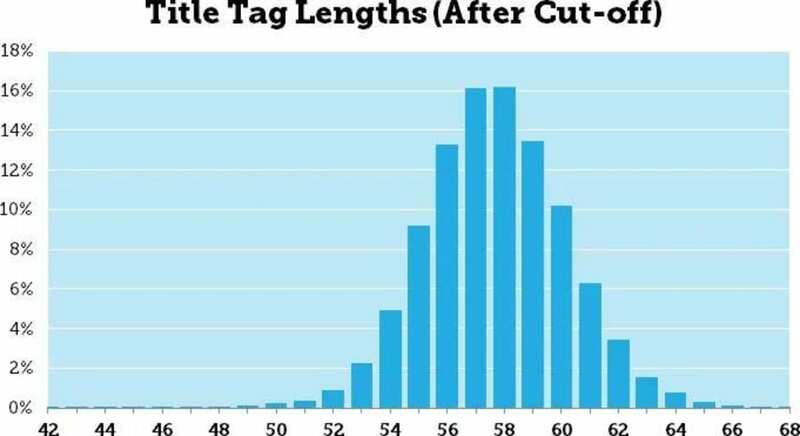 Maximize CTR rates with title tags. © Screenshot. Adding branding to the end of your title tag is a widely used technique that helps a business to reinforce branding to their potential customers. Branding also helps to attract repeat customers, so it helps if the brand is clearly marked on the search results. As we have previously mentioned, Google may rewrite weak titles. Quite often, Google will append your brand automatically to the end of your display title. Google rewriting your display title is not necessarily a bad thing. In some circumstances, by displaying more relevant information (such as an extract from your web page) to the user may be more helpful, and as such may increase click-through rates. If you try to stuff your title with keywords, Google may rewrite it. If the user searches for a term that is not represented in your title, then Google may rewrite the title. It may, for example, choose to highlight some text from within the web page. If you have an alternate title, heading, or meta, and if that better represents the searcher’s query then Google may choose to use that instead.